Поворотный клапан предназначен для подачи порошковых материалов и является точным подающим устройством. В частности, он будет достигать оптимальной эффективности в системе пневмотического конвейера или в состоянии перепада давления. SHINI посвящает себя созданию уплотнения герметичности более высокого давления, удовлетворяющее высокие требования, обеспечивая лучшее качество. 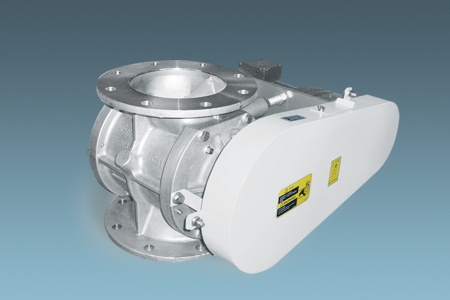 The upper and lower flanges of this valve conform to the standard specification. The specification of flange can be selected from ANSI 150Lb, DIN PN10, GB PN10, JIS 10K, however, the outer diameter and thickness of the flange will follow SHINI's standard. Side cover: AC4B-T6 (the design temperature is under 100℃) SCS13 (the design temperature is over 100℃ or the air contacting part is required with stainless steel). Anti-shearing: in order to avoid chopping the pellet, the entrance of this valve is designed on the shape of “W”. Shaft seal: use double-lip seal ring which material is PTFE to keep a higher sealing performance, without daily check necessary. SFH-type (J-type), applicable for the dense phase pneumatic conveying which no powder remnant is allowable. 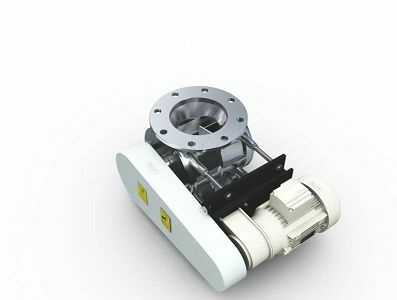 Vent chamber, Normally, the light powder is not fed to the rotary valve stably due to the leakage air. This vent chamber with special structure will help the rotary valve work properly.